It seemed that Jack's played surprisingly long for a festival set, maybe because they played almost every song off of their only released CD, Everything in Transit. As wished by the girls standing behind me ("I hope he plays some SoCo! "), a technical difficulty with the piano resulted in a Something Corporate interlude of a Leaving Through the Window favorite, "The Astronaut." As McMahon sat indian style at the front of the stage, the obviously large SoCo fanbase sang louder than ever. After the piano was back in working order, McMahon got in front of it again to finish off the set with "Miss Delaney" and "The Mixed Tape." Standard for every artist in any city, McMahon ended by thanking Milwaukee for being one of the best cities to play in for his now third performance at Summer Fest. For an opening night encore by an amazing artist with an awesome band, it will be interesting to see if the ten remaining days of the "World's Largest Music Festival" will even be comparable. Jack's Mannequin did put on a great show, and Andrew McMahon is excellent on the piano! He never fails to please the crowd and he comes across like he's just one of your friends up there on stage. Summerfest rocks, it always has incredible performers and Jack's was a great lead off to the fest! Thanks for the blog on it. damn you make me wish i was there! great pictures too! nice kate! soundin all professional up in the blog. good review girl!! keep it up!!! Rock on chica...I look forward to hearing more!!! Wow, that photo is high-quality! Plus after reading your review I wish I was there AND want to buy the record! The Astronaut. That used to be my song in Highschool. They'd sing it to me in all my classes because they said I was the biggest space cadet ever, I dont know how many times I was brought back to earth by a teacher with the lines "Calling out to the astronaut." I haven't even thought about that song (or my old favorite, Straw Dog) in years until reading your review. Thanks Kate. 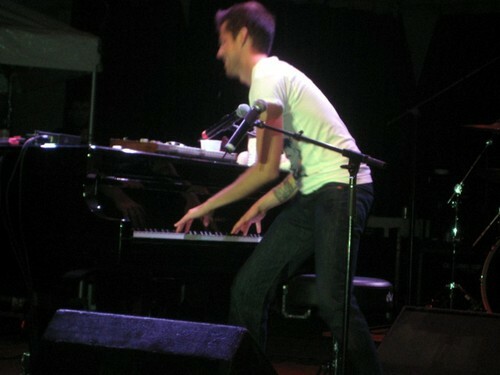 I saw Jack’s Mannequin in a concert in Ft. Lauderdale in 2006. I still can consider it being one of the most anticipated days of my life. Songs like “Holiday From Real”, “Bruised”, and “La La Lie” wound up being my anthems for having fun. 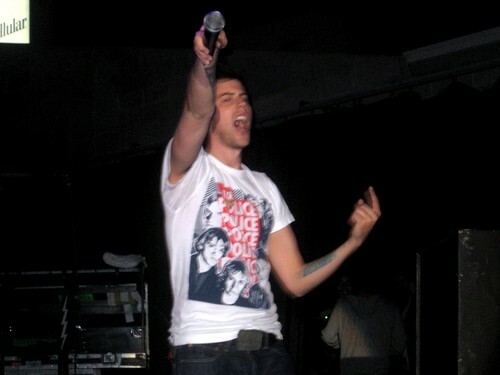 Oh, Jack’s Mannequin is a picture of perfection !